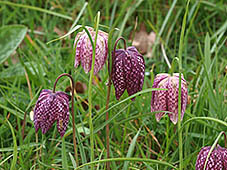 Fritillaries are beautiful and rewarding plants to grow. Browsing through our Fritillaria picture galleries will reveal the many attractive species and forms that could entice you to try growing some yourself. From articles on Fritillaria to notes on individual species, browse our site to discover a wealth of cultivation information to help you grow Fritillaria successfully. Membership benefits include a twice-yearly colourful journal, opportunity to attend meetings and a fantastic seed exchange scheme. 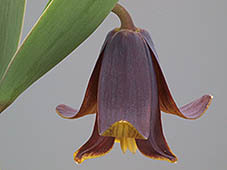 See Fritillaria Group membership details. 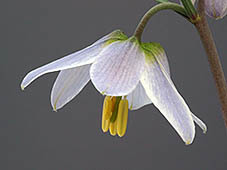 The Alpine Garden Society is our parent organisation. It was founded in 1929 with the aim of promoting an interest in all aspects of alpine plants, rock gardening and rock garden plants, in fact any small hardy plants and bulbs, their cultivation in rock gardens and plant conservation in their natural habitats. It is one of the largest specialist garden societies in the world. Its membership includes amateur gardeners, plant enthusiasts, professional growers, botanists, naturalists, photographers and artists, as well as those who are just beginning to discover the fascination of alpines.Whatever your interest in alpine and rock garden plants, the Society has something to offer everyone.